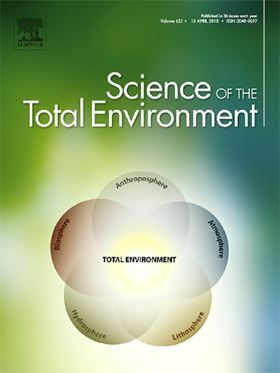 The research article 'Efficiencies and mechanisms of chemical cleaning agents for nanofiltration membranes used in produced wastewater desalination' has been published in Elsevier journal Science of The Total Environment (Volume 652, 20 February 2019, Pages 256-266). A spiral-wound nanofiltration (NF) membrane module harvested from a full-scale produced wastewater desalination plant was examined and cleaned to explore appropriate chemical cleaning protocols. Foulant identification and cleaning efficiency and mechanisms were investigated. For total foulants, the organic components, including anionic polyacrylamide (APAM) and crude oil, accounted for a weight percentage of 86.3%, while the remaining foulants constituted the inorganic fraction, including Na, Mg, Ca, Ba, Al, Fe and Si. Short-term cleaning experiments were designed to identify effective reagents that could be used for further evaluations of their cleaning efficiencies in long-term cleaning. For citric acid and ethylenediaminetetraacetic acid tetrasodium (EDTA-4Na), the long-term cleaning efficiencies were relatively slight or even negative, while said values varied with different surfactants. Dodecyltrimethylammonium chloride (DTAC) achieved the greatest flux recovery; conversely, cetyltrimethylammonium chloride (CTAC) provided insignificant, even negative effects, on flux recovery, as well as salt rejection, of the fouled NF membranes. FTIR and zeta potential analyses of the fouled membranes indicated that all the tested surfactants were identically effective in removing the foulants from the membrane surface, but their cleaning efficiencies differed. Moreover, a strong correlation between the flux ratio (Sf) and concentration of surfactant in the permeate (Cps) was observed. Among the tested chemical reagents, DTAC yielded the highest Cps and the greatest flux recovery, with an Sf of 2.25. Considering this correlation and the characteristics of the fouled membranes and surfactants, it is proposed that DTAC molecules penetrated the membrane pores and removed the foulants that were attached to the pore walls.